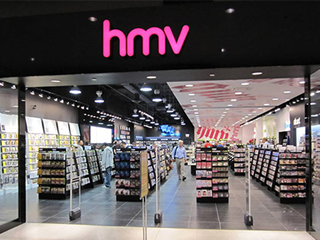 HMV, the specialist retailer of music, film and games, has announced that it will be stocking The Fluffy Jackets' debut album in 50 of their largest stores around the UK. The Fluffy Jackets feature Manny Charlton (Nazareth), Neil Murray (Whitesnake), Rob Hall (Jerry Lee Lewis’ Killer Band), and founder Helge Rognstad. Fighting Demons was recorded in parts at the historic 1950’s Sun Studio in Memphis TN, where Helge Rognstad was joined by classic rock legends Manny Charlton (Nazareth), Neil Murray (Whitesnake) and Robert Hall (Jerry Lee Lewis). Further sessions would take place in London UK at the Cowshed Studio. This line-up would again feature bass player Neil Murray, plus renowned harmonica player West Weston, in addition to Fluffy Jackets regulars Jerry Bessent and Nick Rhodes. Emil Gammeltoft from the Swedish band SKoR also feature as a special guest.